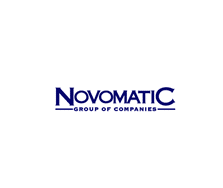 Novomatic was created way back in 1980 by Professor Johann F Graf – they first produced slots for land based casinos targeting the European market initially. You won’t see very many online casinos offering Novomatic slots as they are quite strict with whom they work with. They have a cult following and cater towards the more experienced player I would say. Graphically they aren’t as sharp as NetEnt for example but functionality is superb. The most famous of their slots is the iconic Book of Ra Deluxe – this is a household game in Germany and is highly recommended. I also like Lord of the Ocean and Reel King. If you like highly volatile slots, Katana is for you (known in land based casinos as Shogun). They have quite a large variety of games with new titles being released quite often so it’s only fair we added a dedicated Novomatic section on Online-Slot.co.uk. I really like Novomatic slots are even though they are an acquired taste, they are quirky and feature (mostly) that iconic music as you’re playing (you will know what I’m talking about if you play their games regularly).